It was a bittersweet moment when I finished the last revisions for Dom and Theo’s book, THE RAKE TO REVEAL HER. After several years (a more extended period than expected because of the year off from writing I lost after our serious car accident) and four books, I was saying goodbye to characters who had lived in my head and my heart for a very long time. Dom, too, has to say goodbye to the life he’s known after serious injuries suffered at Waterloo leave him incapable of continuing to breed and train spirited horses for the hunting and steeplechasing field, the pursuit that was to occupy his life. Retreating from London and his sportsmen friends who can still do what he cannot, he immures himself in the country to try to figure out what he has left and what he’s going to do with his future. Theo, too, is beginning a new and different life. Having grown up following the drum, after the deaths of her fiancé on the Peninsula and then her father at Waterloo, she returns to an England she’s never known. But unlike Dom, Theo knows exactly what she is meant to do: establish a home and school for the soldiers’ orphans she has collected during her time with the army. She wants to rent a building on Dom’s property for the purpose, interrupting his solitude. Though she pledges the project will not disturb the peace he’s sought, Dom finds himself drawn to the energetic Theo and inspired by her zeal to help the orphans. Even more, Theo sees him for who he is and what he can still do—not as the damaged relic of the man he used to be. There’s a strong and immediate physical attraction, a slow building of trust and friendship, and when a scandal from the past threatens to undermine everything Theo has worked for, Dom steps out boldly to help her save it—and them. Are there any books or series that you found yourself not wanting to finish, because you didn’t want them to end? One commenter will win a copy of Dom and Theo’s story, THE RAKE TO REVEAL HER. Thank you, Julia! The contest is open internationally. Good Luck! I’m about 75% into this book and loving it. My review will post here within the week.. Thanks, Rose! I’m so glad you are liking Dom and Theo’s story. I really liked Mary Balogh’s Bedwyn family series, and also Jo Beverley’s Malloren series. While I LOVE long series and I have MANY that I never want to end, I hate waiting any period of time inbetween book x and book y. So I tend to WANT to read trilogies more when I already have all three books. And yeah, while I know there’s only three, I don’t want them to end. So I read them SLOWLY. Sigh. I absolutely loved Lisa Kleypas’s Walllflower series and it felt as if I had lost some dear friends when it ended. It was lovely to catch up with some of the characters in her Hathaways series. Yes! I know that feeling well. It’s ironic really. When I’m into a good book I gobble it up & read frantically because I can’t wait to know what’s coming next but when I reach the end it’s “oh no!, I wish I’d taken the time to savour it slowly”. I love the Windham series by Grace Burrowes. It’s always great to see old friends show up in new books. Wow! it’s great to hear some favorite series mentioned here–Jo Beverley and Mary Balogh and Lisa Kleypas and Grace Burrowes. 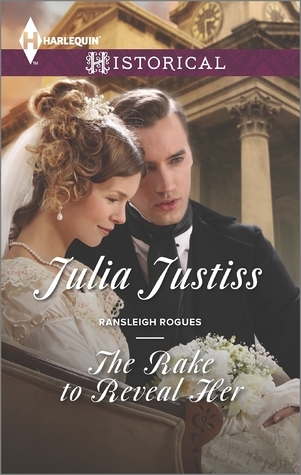 Since writers simply can’t put books out as quickly as we’d like to read them, it’s good that there are a number who write Regency series. Tho I will buy Book 1, even when I know books 2 or 3 or whatever aren’t out yet. Slightly Dangerous, The Lord of Scoundrels, Flowers from the Storm, When He was Wicked, Devilish. Lots more, but I have to dash! FLOWERS FROM THE STORM is one of my all-time favs! I liked it so much, I wrote one of my favorite heroes with a stutter (Hal Waterman in A MOST UNCONVENTIONAL MATCH, one of the Wellingford family books.) Loretta Chase is also one of my all-time fav authors. I love her early Regencies, especially KNAVE’S WAGER, which might be the best Regency ever written.